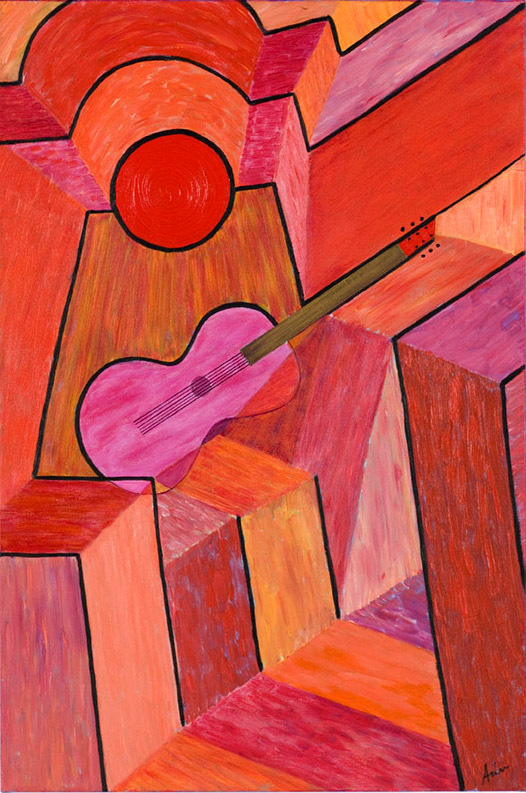 Seated Guitarist is a simple cubist construction. The legs and seat share the same lines, as do the arm and fretboard while many short multi-directional brush strokes are used create the illusion of dimension and volume. This was used as the poster for my first public exhibition, The Art Of Music. testing to see if this goes to my email.